It is the end of the first full week of the new year. How are those resolutions holding up? Been to the gym everyday? Cut out meat/dairy/gluten/sugar/food altogether? Training for that marathon yet? Just kidding! Health is a process that is often more than 1, 2, 3. In fact, it may be closer to A, B, C… to Z. Read on for a healthy weekend! 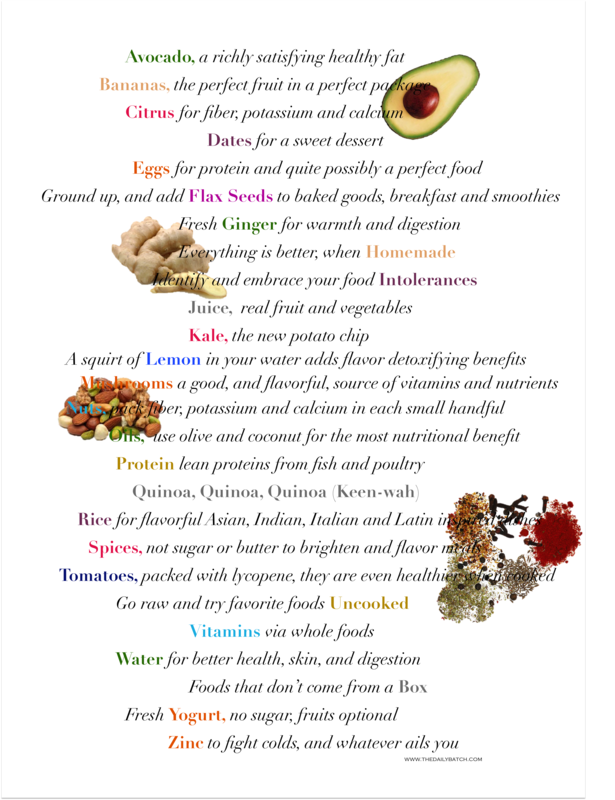 This entry was posted in Her Kitchen and tagged food resolutions, healthy new year, new year resolutions. Bookmark the permalink.